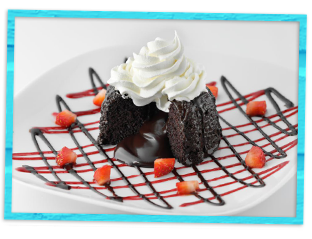 End your meal on a sweet note with our Sensuous Treats. 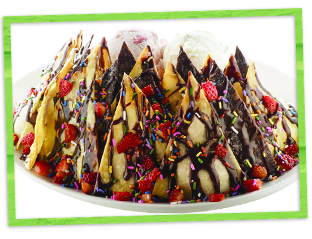 Everyone at your table will indulge when you order our signature Chocolate Nachos that are perfect for sharing! Or get an authentic taste of the Florida Keys with our Key Lime Pie. Mmm… now that's what you call a Sweet Island Escape. ** These items contain nuts.